The BOSS RC-1 is Boss` simplest and most user friendly Loop Station, and it`s the most fun they`ve made! 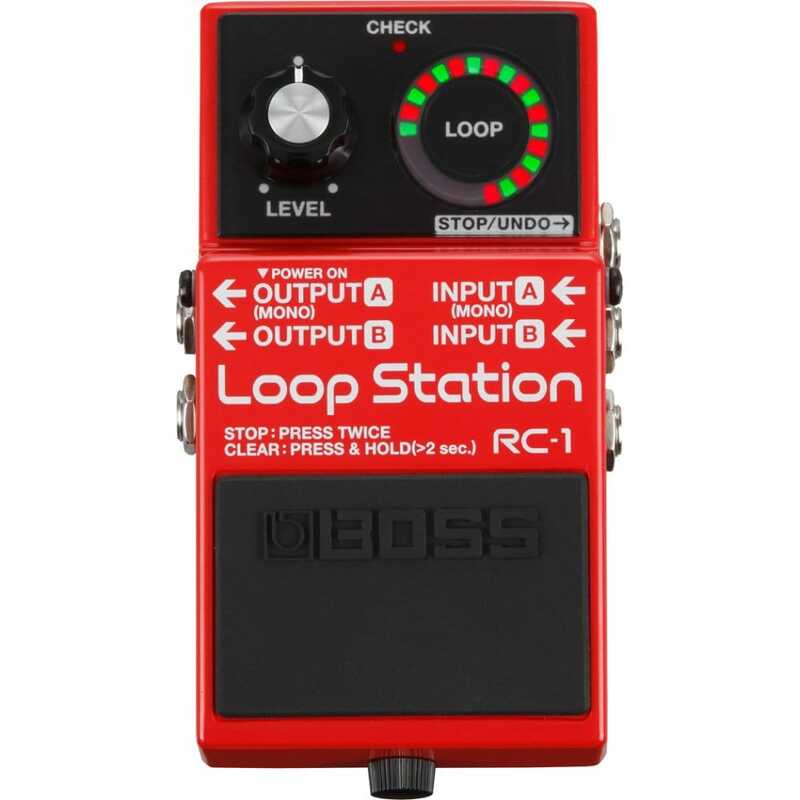 Since they released the RC-20 Loop Station back in 2001, BOSS has led the way by continually pushing looping boundaries. Though they’ve been used and enjoyed the world over by all kinds of artists and performers, BOSS has always pursued a simpler solution. The RC-1 is a straight-up looper that`s easy to operate. Experience the fun of looping when you record, playback, overdub and undo/redo loops using this compact BOSS stompbox. And of course, the RC-1 retains the BOSS quality and performance that musicians around the world have come to expect and rely on. Whilst this is a simple pedal Boss are still bringing something new to the table. There is a new and innovative loop indicator which consists of a 24-segment LED laid out in a circular pattern so you can quickly and easily determine the current status of the Rec/Overdub/Play modes. Plus 12 minutes total record time, stereo in and out and external switching add a coule of nice finishes you don`t usuall get with other compact loopers! Received item very quickly. Unable to comment on performance as it's a Christmas present for my daughter.